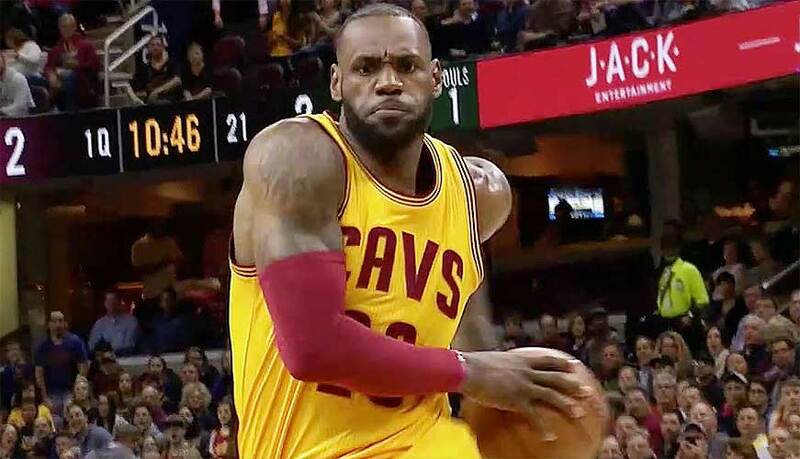 CLEVELAND, Sporting Alert — The Cleveland Cavaliers have lost four straight entering their NBA playoff series against an inform Indiana Pacers club, which is seeking to upset the champions. Live streaming coverage of this game is on Watch ABC and WatchESPN and ESPN3, while ABC will have live television broadcast, starting at 3:00 pm ET. Despite losing four successive games to close out the regular season fixtures, the Cavs, who will welcome the return of LeBron James and Kyrie Irving, are heavy favourites over the Pacers in Saturday’s Game 1. According to ESPN’s Basketball Power Index, the Cavs have a 76-percent chance to beat the Pacers in the opening game of the series in Cleveland and head coach Tyronn Lue believes his team will be ready. The Cavaliers will start as the No. 2 seed in the Eastern Conference playoffs after a losing record since the All-Stars, including some bumps over the last few games, but Lue thinks it’s time for his team to get going. He said: “Well, I mean, no more excuses, ‘When we get to the playoffs …’ Well, the playoffs are here now. So we gotta perform. In their four regular season series meetings, the Cavaliers came out on top 3-1 and the basketball experts expect the world champions to advance over Indiana. The Pacers, meanwhile, have won five straight and Paul George and Co. are legitimately pursuing an upset. George, who is averaging a career-high 23.7 points per game this season, averaged 24.8 points and 5.8 assists in four outings against the Cavs this season. At the other end, LeBron James had 32.3 points, 8.3 rebounds and 8.0 assists in three games against Indiana this season, and he along with Kyrie Irving and Kevin Love, are expected to make life very difficult for the travelers at Quicken Loans Arena.